Australia has one of the highest incidence of bowel cancer in the world. There were 5,295 new bowel cancer cases and 1,685 deaths in NSW during 2015. Bowel cancer is a malignant growth occurring generally in the lining of the large bowel—it is the second biggest cancer killer in both Australia and NSW. Find out why bowel screening is important and how you can take part in the free screening program. Why is this screening program important? There were 5,295 new bowel cancer cases and 1,685 deaths in NSW during 2015. Bowel cancer is common—it kills more people in NSW than prostate cancer, breast cancer or melanoma. If detected early, bowel cancer can be successfully treated in more than 90% of cases. If bowel screening participation rates in the National Bowel Cancer Screening Program increased to 60% in NSW and across Australia, up to 90,000 lives could be saved from bowel cancer over the next 40 years. The National Bowel Cancer Screening Program offers free screening for bowel cancer to eligible Australians. Screening every 2 years for all people aged 50–74 will be fully implemented by the National Bowel Cancer Screening Program by 2020. Bowel cancer is common—it kills more people in NSW than prostate cancer, breast cancer or melanoma. Bowel screening can detect more cancers at an earlier stage, resulting in less deaths from bowel cancer. 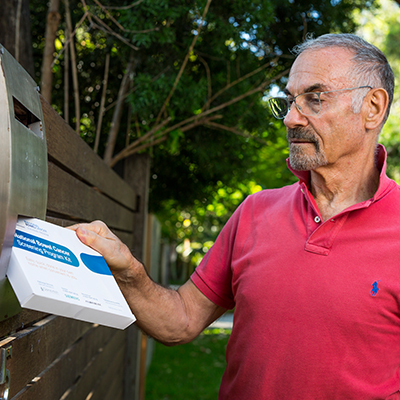 Free bowel screening tests will be sent every 2 years to people aged 50-74 in Australia. 'Do the test’ encourages everyone to do the test when it arrives in the post. Previous section Research, reports and evaluation Next section How common is bowel cancer?